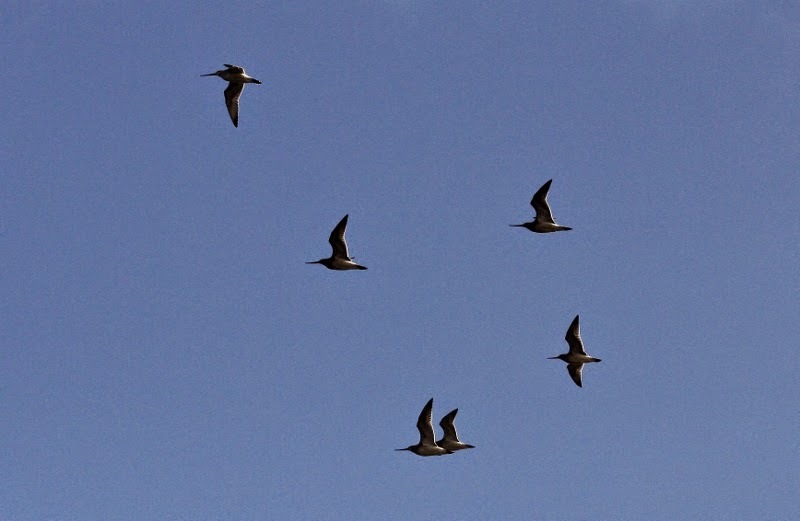 Migration watches; 06.30 - 11.30hrs, 11.45 - 13.00hrs and 13.50 - 20.20hrs. Scarborough's 6th SPOTTED CRAKE (the last being in April 1987!) was a truly amazing find in a Garden on the Dean, Peasholme Park at 20.20hrs, it was being stalked by a Cat but fortunately escaped, though it didn't appear to have flown far so will be looked for in the morning. 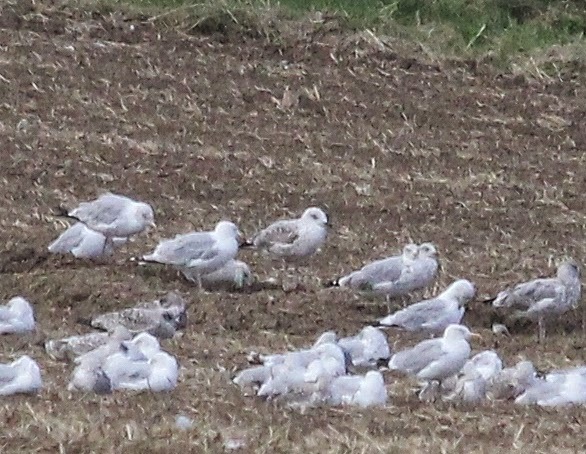 Elsewhere a 1st year CASPIAN GULL, the third of the year, was found in fields just to the South of Crook Ness in with a flock of 300+ Herring Gull that also had with them, 27 Great Black-backed Gull and 2 Lesser Black backed Gull. It was rather disappointing on the migrant front given the weather, between Long Nab and Scalby Nab were 1 Ringed Plover, 1 Whinchat, 3 Whitethroat, 1 Blackcap and 1 Willow Warbler. Things were rather interesting over the sea, on the move (north unless stated) were 51 Fulmar + 24 south, 1 Sooty Shearwater, 8 Manx Shearwater + 3 south, 5 Cormorant + 5 south, 7 Wigeon, 17 Teal + 5 south, 11 Eider, 93 Common Scoter, 91 Oystercatcher south, 1 Golden Plover south, 1 Dunlin south, 9 Bar-tailed Godwit south, 4 Whimbrel south, 4 Curlew + 2 south, 3 Greenshank south, 14 Arctic Skua + 3 south, 4 Long-tailed Skua (which included 3 juveniles at 07.39, 08.00 and 17.17 and an adult at 11.20hrs), 1 Great Skua, 2 Skua sp, 2 Little Gull, 9 Black-headed Gull + 7 south, 2 Common Gull + 3 south, 1 Yellow-legged Gull + 1 south, 4447 Kittiwake + 44 south, 181 Sandwich Tern + 9 south, 79 Common Tern, 8 Arctic Tern + 1 south and 36 Auk sp.